The rent at The Townes at Heritage Hill Apartments ranges from $1,437 for a two bedroom to a $1,734 three bedroom. Apartments in this building are about 2% more expensive than the Ferndale average. This is a pet-friendly apartment. 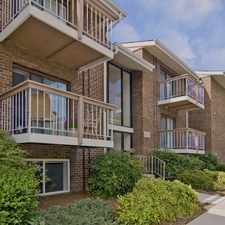 The Townes at Heritage Hill Apartments has a Walk Score of 16 out of 100. This location is a Car-Dependent neighborhood so almost all errands require a car. The Townes of Heritage Hill offers spacious 2 and 3 bedroom Townhomes for rent. Located in Glen Burnie, Maryland, our beautiful Townhomes offer fully equipped kitchens, washers and dryers in every home, central air and more. Conveniently located between Baltimore and Washington D.C., you have easy access to I-695, I-97, I-895 and Rt. 100. With just a short drive to Arundel Mills, Marley Mall and Maryland Live, there is always plenty to do. Looking for a home for sale in Ferndale? Explore how far you can travel by car, bus, bike and foot from The Townes at Heritage Hill Apartments. The Townes at Heritage Hill Apartments has minimal transit which means it is possible to get on a bus. Car sharing is available from RelayRides. 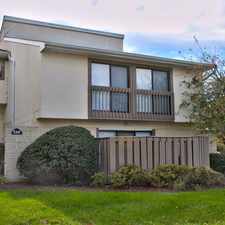 The Townes at Heritage Hill Apartments is in the city of Ferndale, MD. Ferndale has an average Walk Score of 32 and has 16,746 residents.